Chat one to one with other users (send text, image and sticker). Following this video to connect your flutter app to Firebase. First, if you would like to use Google sign-in, need to do this step (only for Android - the video above doesn’t do it since he doesn’t use sign-in method) to get SHA-1 key (get the debug certificate is enough). Remember that the keytool only accepts one parameter, but two “-exportcert -list” are suggested. The “-exportcert” parameter is redundant and can be omitted from the commands listed on that page. 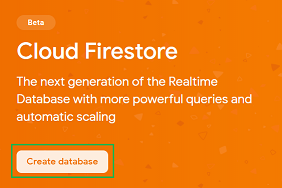 Now you’re done this step, don’t need to add or init any data manually at Firebase. The rule check image file type only works for Android (iOS always not match this condition even you upload the image). Because the image upload at Android is image/jpeg or image.png… but on iOS is just application/octet-stream no matter what the file type is. to pass iOS file type. If anyone finds a better solution, please tell me. 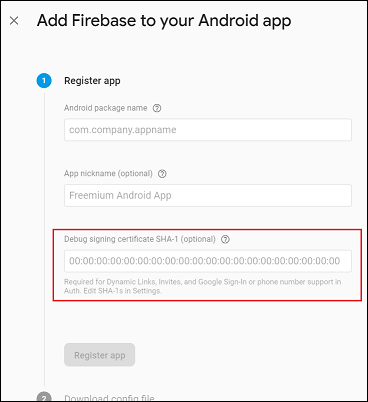 Following these instructions to add firebase_auth, google_sign_in, cloud_firestore, firebase_storage to your project. These plugins help login app by Google account, get user info, real-time database for chatting and upload image. And the others will help us show toast, cache data local, pick images from gallery, cache network image and parse date time. then we’ll check if the user is new or not (by query to the server does this ID exist). If they’re a new user, write it to the database. 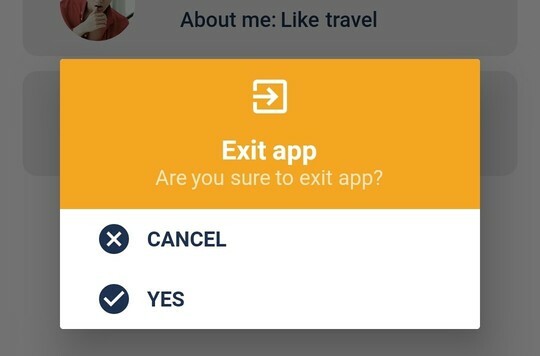 The other things we need to do here are writing user info to local storage (to use in other screens, mention later) and navigate to the main screen when login successful. This screen contains list all users in our database, we’ll show all the info we got like avatar, nickname and about me. If you would like to design user has more field than that, create a detail screen to see all particular user info is a good idea. Note: You should use two accounts for login (A and B). So when you log in account A, you can see B and vice versa. To catch back event, use WillPopScope widget, it gives an attribute name onWillPop, when user touch on soft or hard back button, it goes to this function first, and at this function, we open the dialog. 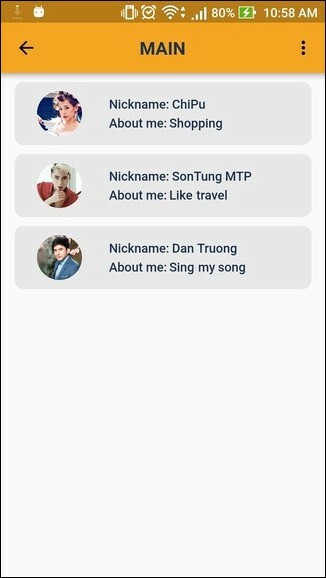 At here, the user can change some info like their avatar, nickname and about me. You can add more field than that if you want. At first, we load current user info from disk (the data we wrote when they log in) to show on UI. If user change avatar, we need to upload that file to Firebase Storage, then get file’s URL. After that, update user info to Cloud FireStore with new photoUrl we just set. 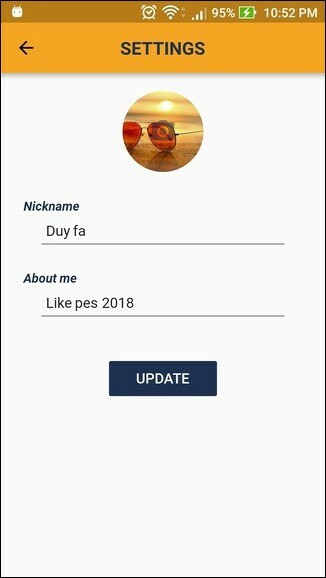 Notice that a user just need an avatar, so we set file name is userID, if user uploads a new file, Firebase will replace the old with the new one. This is a score screen so we have many things to do on this screen. The root is WillPopScope because we need to handle the back press, if sticker or keyboard is shown, we need to hide it instead of back to the previous screen. Second is handle sticker and keyboard appearance, if keyboard being shown, the sticker will dismiss and vice versa. We need a variable isShowSticker to detect should show sticker or not, focusNode help us control should focus on text input or not, if focusing, the keyboard will appear. Notice that when user A (current user) chat with user B (peer user), the problem is which groupChatId we’ll use to read and write data chat to the server since conversation of AB need save at the same node? So my idea is hashing the A’ uid and B’ uid, then creates a string like this. Then at user A or B, they both read and write data at the same Firebase node. At the time of this article is published, I found no way to scroll item to bottom list programmatically when receive a new message, so my idea is reverse array message (set attribute .orderBy when query data from the server), then set reverse attribute in ListView to true. Then list message will have a good UX like other apps chat. We’ll only display the last 20 messages of the chat to avoid displaying a very long history on load. Fourth is handle sending messages, if user sends an image, we need to upload this image and get URL, then we just add the content of the message is this URL, and stickers (are saved at the local project) just need the name of the file is enough. When receiving a new message, we’ll check type first, if the type is image, we load this image from network, if the type is sticker, show it from the local file. Our database should be like this, just for checking if you need to. If you guys have any questions. Please feedback so we can discuss and improve each other.